All of us know that we can create multiple types of files in Windows 10. 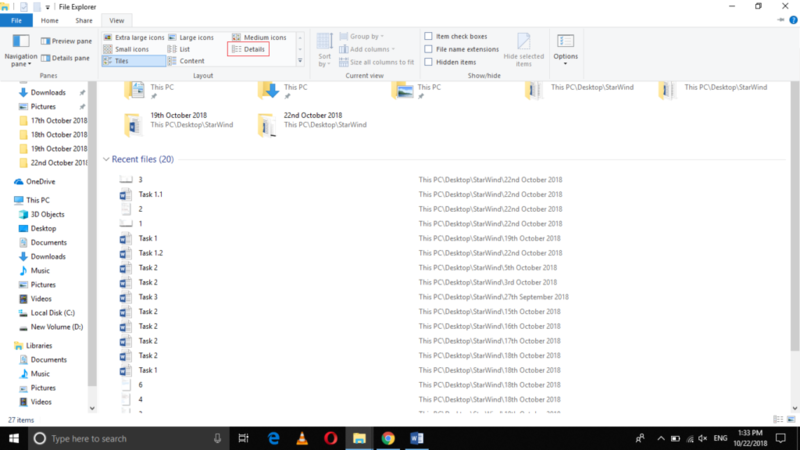 Some of these files are read-only i.e. 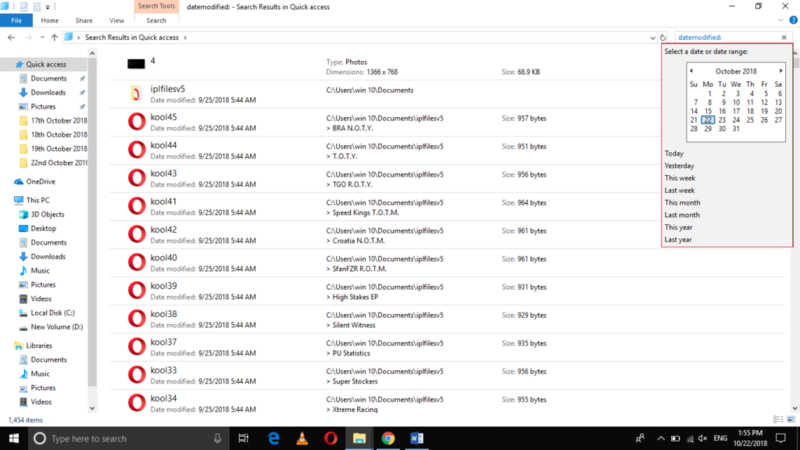 once we create such files, they cannot be modified rather they can only be viewed. However, most of the files we create on daily basis can easily be modified. 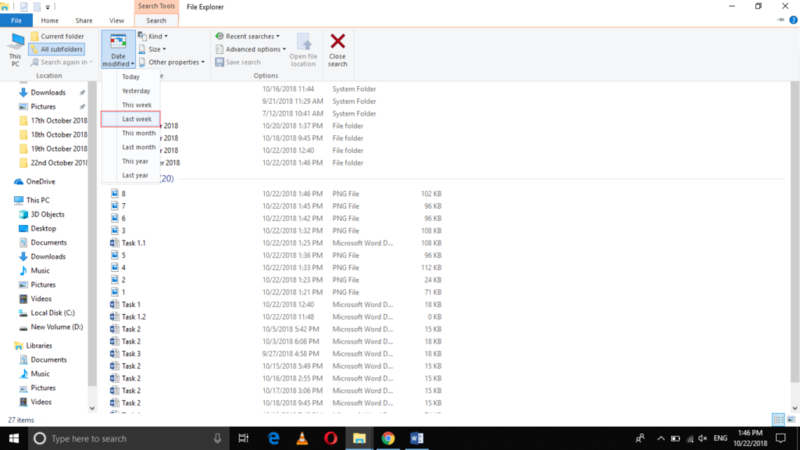 Sometimes, you want to view only those files that are recently modified so that you can know about the changes that you or any other user has made to these files. 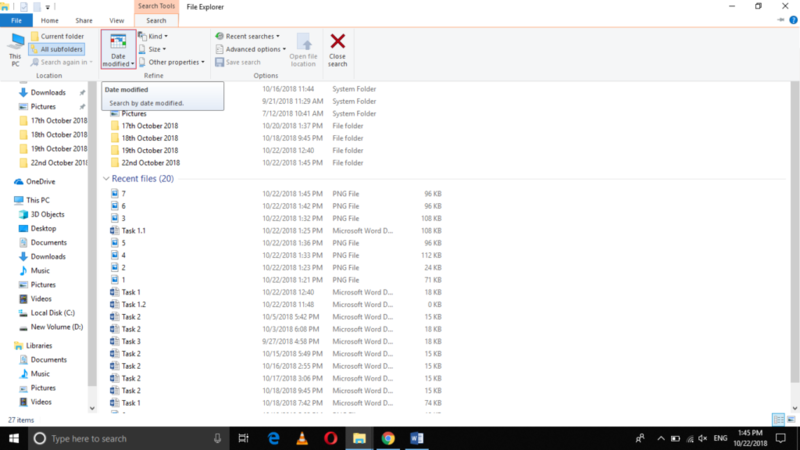 Therefore, there must be a way through which you can easily view the modified files in Windows 10. 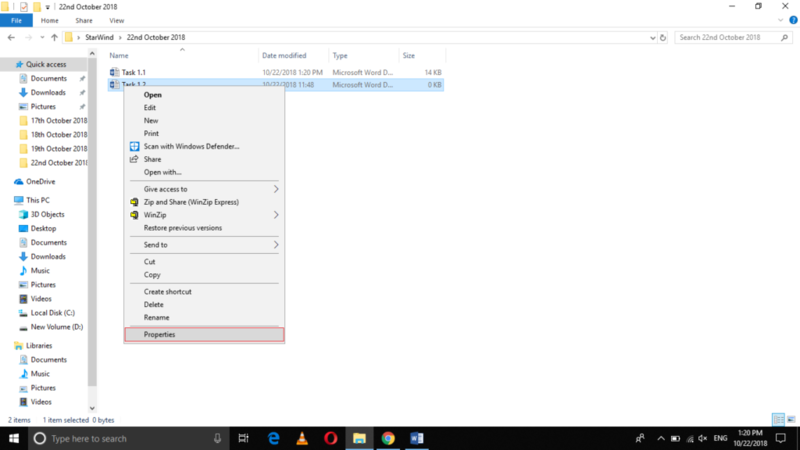 In this article, we will explain to you some methods through which you can view the modified files in Windows 10. Click on the Properties option from this menu as highlighted in the image shown above. Locate the Modified field as highlighted in the image shown above. By looking at this field, you can easily know whether the particular file is modified or not. Click on the Details option as highlighted in the image shown above. Click anywhere in the Search Quick Access text box as highlighted in the image shown above. Now click on the Search tab in order to expand it. 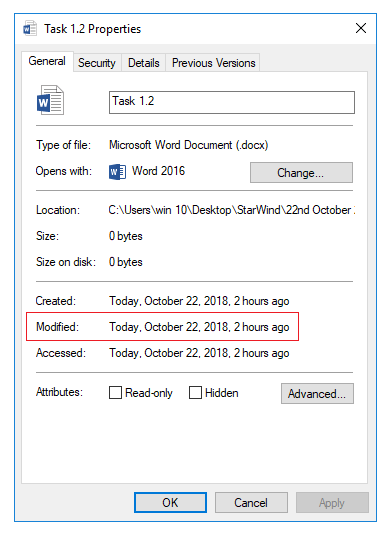 Click on the Date Modified icon as highlighted in the image shown above. 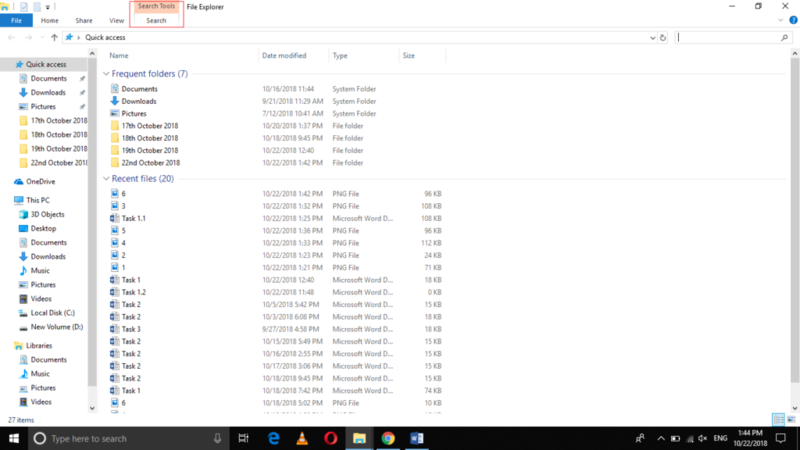 You can select any time interval from this list within which you want to view the modified files as highlighted in the image shown above. Locate the Search Quick Access text box as highlighted in the image shown above. 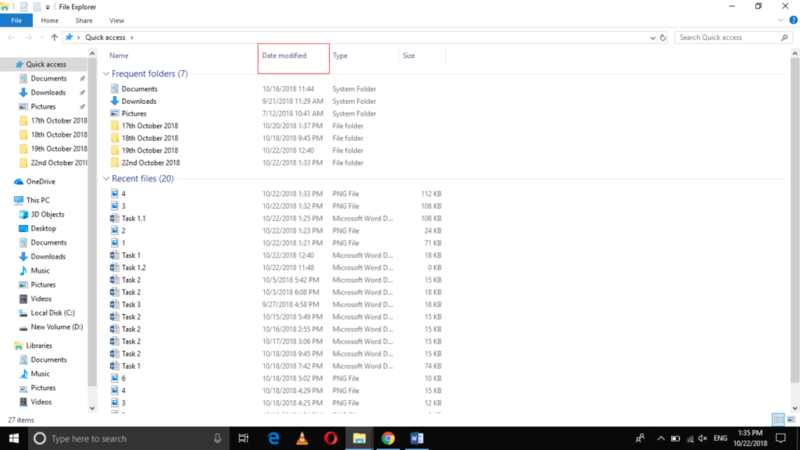 As soon as you will press colon after date modified, a calendar will appear on the screen as highlighted in the image shown above. You can choose any date or date range from this calendar in order to view the modified files within that range. 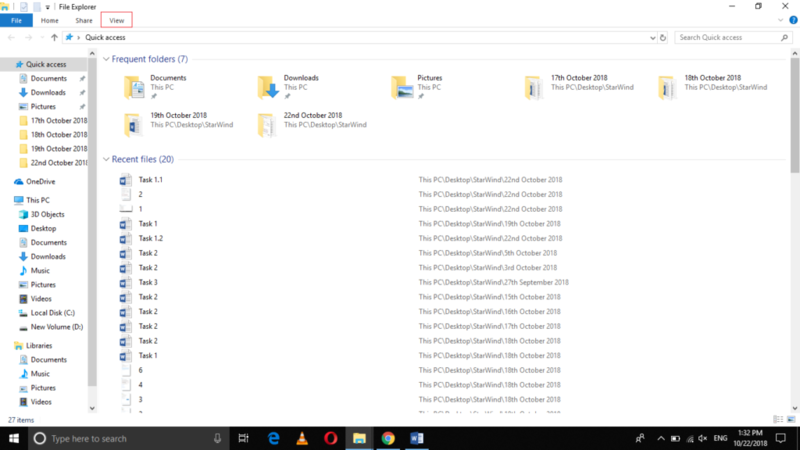 By following any of the four methods discussed in this article, you can easily view the modified files in Windows 10. All of these methods are extremely simple and easy to use. Therefore, you will no longer find it difficult to know about the changes that you have made to your important files.